Grandough Baking Company offers delectable cakes and a large variety of baked goods in Lufkin that are made with the freshest ingredients and a keen eye for detail. Our goal is to present you with the highest quality products with careful attention to detail and, of course, customer satisfaction. You’re important to us, and we always strive to surpass your expectations. See your vision come to life by choosing us for your bakery product needs. We believe cake and many other confections can be a special part of any occasion and we make a dazzling display of cakes and treats everyday from scratch. Our trained staff will bring your dream wedding or themed cake to life. At Grandough, we aren't just cakes. We specialize in making most any other baked good that you can dream of become something spectacular. If it's the best you've ever had, it's probably Grandough Baking Company. Justin, a certified baker, has a degree from the American Institue of Baking in Baking Science & Technology. As a certified baker he has expertise in the chemistry, organic chemistry, and physics needed to manage the function of ingredients, to control the baking processes, and to formulate products. Justin has the Serve Safe Food Protection Manager Certification by the National Restaruant Association. He is also knowledgeable in the methods of troubleshooting and quality control. 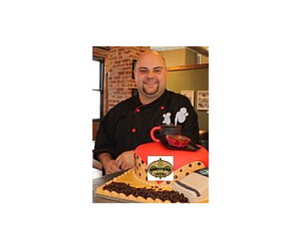 Justin specializes in custom recipe development and is the head baker at Grandough as well as a cake designer. Teresa is a self taught cake designer and sugar artist. She specializes in wedding cake and event cake design. 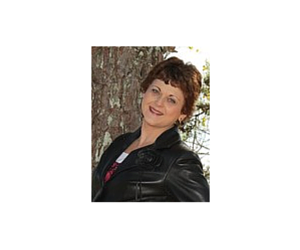 She creatively incorporates her clients style, dreams, themes, and logos into her designs at Grandough. All sugar flowers and decorations are handmade by Teresa at Grandough. Teresa began decorating cakes at the age of 14 after seeing a 4-H cake decorating demonstration. She found cake decorating to be an outlet for her creativity as well as her love of baking. While in college, she met her husband Mark who is also an accomplished baker and cake decorator. They raised their children, Justin and Joy, in Texas and settled in Lufkin 22 years ago. All through the years Teresa decorated cakes for her children, family, and friends. After her children were grown she had more time to expand her decorating. Teresa made the first fondant cake in Lufkin complete with handmade roses and stephanotis; this cake was documented in Joe Murray's newspaper column. She also made a cake for the Space Shuttle Memorial that included a sugarpaste space shuttle model; a NASA astronaut took the model to Houston where it was on display with other Columbia memorial items.